They are the world’s best-kept secret – an underground society whose eternal cause is to protect the world against the dark creatures and evil forces that inhabit the night. Now Sentinels are being targeted, murdered and turned as the fury of an ancient evil is unleashed once more. And when 15-year-old Nicholas Hallow’s parents are killed in a train crash, the teenager is drawn into a desperate struggle against malevolent powers. Sentinel is the first book in the Sentinel Trilogy – a world of unconventional heroes, monsters, murder and magic. Read the first few chapters FREE. Tell us a little bit about Nicholas. Nicholas hasn’t got a clue. He’s smart in some ways – I guess in sort of a bookish, ‘Google knowledge’ kind of way – but he’s not had to face the realities of the world yet. Those realities come crashing down on him in Sentinel’s first few chapters, and the rest of the book (and the trilogy) is about how he copes with that adjustment. How do you survive in a world that you don’t understand? There’s a huge confrontation scene towards the end of Sentinel that I really enjoyed writing, mostly because it’s between two characters who have a history. And seeing as one of them is rather old, the stakes are really high. I probably wrote the entire scene in just an hour or two and barely had to edit it afterwards, it came out just as I wanted. That very rarely happens! How long have you been writing, and when did you first consider yourself an author? I still feel uncomfortable with the word ‘author’. I feel like it’s a title you have to earn. For me, ‘author’ means Charles Dickens, JK Rowling, Stephen King. Other people who are far cleverer and more talented than me. I guess technically, yes, I’ve written a book, so I am one of those, but I still don’t feel worthy of the title. Maybe that will change. 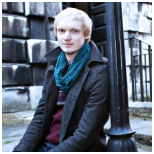 “As far as I’m aware, there’s never been a young adult fantasy novel set in Cambridge,” says Joshua Winning. “That thought struck me when I was halfway through editing the first draft of Sentinel. 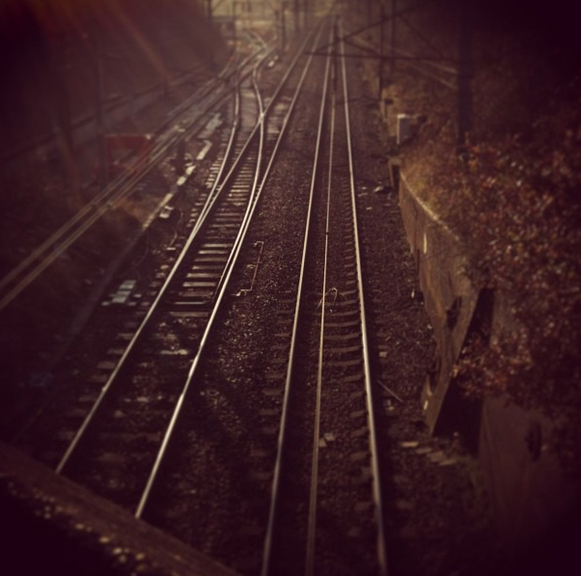 At the time of editing, Sentinel was set in a nondescript part of London, which struck me as kind of dull. When I visited my aunt in Cambridge that summer (I now live in London), I had a lightbulb moment. I needed to relocate the book – and almost the entire Sentinel Trilogy – to the city that I’d called home for most of my adult life. 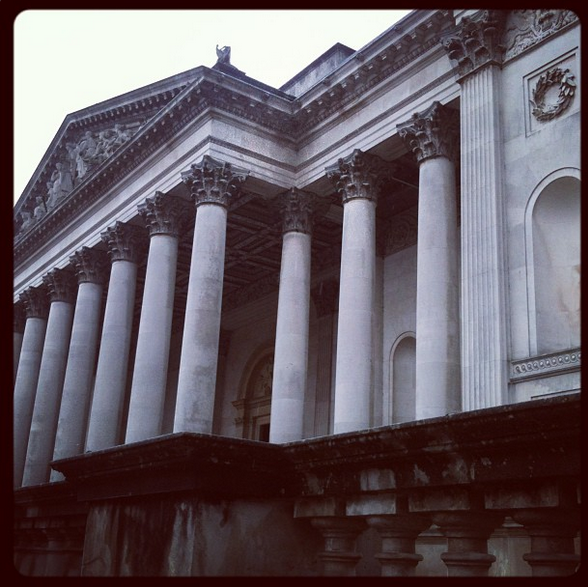 “When I first moved to Cambridge as a student, I was actually too scared to go into the Fitzwilliam Museum. It’s this monstrous building right in the city centre and pretty imposing. The lion statues really do seem to be guarding the building, warding off anybody (or anyTHING) who might mean it harm. “Cambridge really is a city that has moods, and those moods usually coincide with the changing seasons. One place where this is never more apparent is Midsummer Common, which is where Sentinel’s lead character, Nicholas Hallow, lives. “Boring, huh? Well, the train station offers us our first glimpse of Cambridge in the first chapter of Sentinel. I love train stations. They’re great for paranoia, which is what I was going for in Sentinel’s first chapter as Anita and Maxwell Hallow embark on a mysterious trip. Can you really trust your fellow passengers? What if they’re not there because they want to catch a train? What if they’re actually after you..?